Looking for private in-home or in-studio Songwriting lessons? Our La Crescenta teachers are ready to get you started. Find your teacher today! Check out some of our most popular teachers near La Crescenta, CA including Los Angeles, Long Beach, Irvine, Glendale and Burbank. My first opportunity to teach songwriting came while I was in charge of the music program at Santa Monica Montessori school. The kids there all new that I was a songwriter and played in a band, so they would freely come to me with their ideas. I decided to make a songwriting unit of study that culminated in a final showing of their creations. Some chose to use the school mac laptop computers running garage band to flesh out their ideas and create a sound recording, while some elected a more traditional approach of pencil and paper and an instrument or voice as they crafted their songs. I am a firm believer in the power of music to heal, entertain, and teach. It is our first and most vital universal human language and as such, I believe we all have the ability to learn how to communicate beautifully with music to express our deepest feelings. As a teacher it is my privilege and pleasure to help you develop. From classical violin to jazz piano my early musical education not only spanned genres and instruments but also geographically from Austin Texas to Madison Wisconsin and finally brought me to Los Angeles where I currently reside and produce and teach music professionally. re harm than good. I believe attention must be paid to individual learning styles. Therefore, as a teacher I have learned to observe carefully at first and custom tailor a practice routine with each student aimed at achieving their goals. I believe the study of music helps foster a deep level of self-confidence and self realization, which eventually leads the student to discover a portion of himself he would otherwise never know. My goal is to inspire others with this joy, which is everyone's birthright and an important key in finding happiness. A gifted singer-songwriter of Pop, Rock, World and Reggae songs that possess that timeless quality. He has recorded with 2 time Grammy nominated producer Barry Goldberg (Eagles, Robbie Robertson, Verve Pipe, Marilyn Manson). He has released three CDs, had songs featured in compilations and in feature length film, toured North America, and taught guitar, piano, and voice both privately and in an all ages Montessori school in Santa Monica. He consistently played in a variety of bands while earning an A.A. in music from SMC and later a B.A. in Ethnomusicology from UCLA, where he earned distinction as an excellent student both academically and in musical performance. He brought passion to his performances with legends, Fransisco Aguabellas Afro Cuban ensemble, Brazilian Batucada ensemble, African-American gospel choir, music and dance of Ghana, and the Balinese Gamelan ensemble. As a member of several original LA bands, (Las Manchas, Samson Simpson, Toussaint, Mentone, Cloth and Spicy Fernandez) he has performed at world famous venues and toured North America. He co-wrote and co-produced the first EP records by Samson Simson with Ronen Navah, and also co-produced Mentone's first full-length record, "Empire" with Ronen Navah and Aki Ehara" Currently he is developing his new band, Spicy Fernandez, which has released a few singles on the internet and is getting a good buzz from Industry heavy weights. I believe in custom tailoring a curriculum to fit the students needs, while still providing them with the same basic tools all musicians need to develop in order to play well (both with themselves and with others). Obviously, some students require more structure and discipline, while others have a stronger work ethic. Some may even need a teacher that is more laid back to balance them out, but more so my job is to facilitate learning and guide. 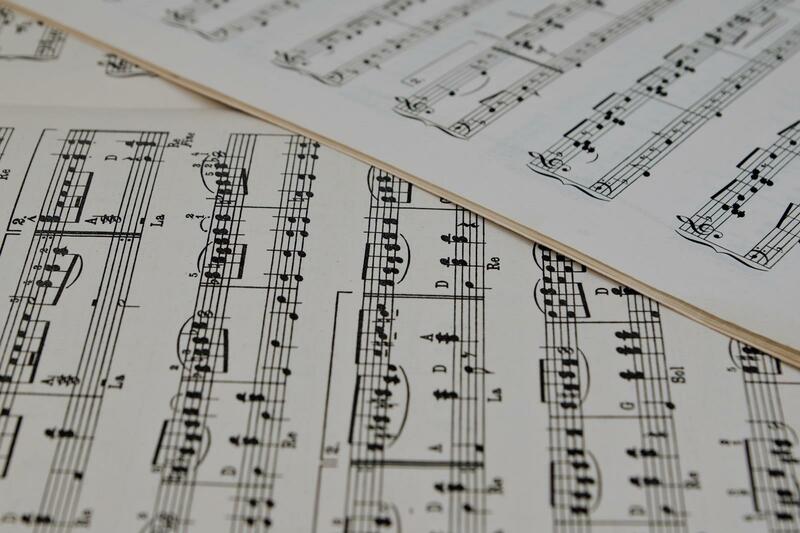 A student studying with me can expect to receive a general assessment of their skill level in musicianship, theory, and on their instrument within the first couple of lessons (or once I feel that I have experienced enough of their abilities). Based on that assessment, I will work with the student to develop a plan of small goals to work toward. Progress will be monitored weekly and larger goals will unfold naturally in accord with the students own dreams and musical ambitions. Within 3 to 6 months of study with me students will learn to play a range of simple songs, basic scales, exercises, finger positions, and have a solid foundation for listening to, and playing to rhythm. Full acoustic upright, Wurlizter electric piano, and keyboard synths, a computer based digital audio workstation...guitars...percussion...in the front room of my house. Has a full set-up for a band. I provide copies of some sheet music, a library of music books, percussion instruments, digital recordings of lessons. I expect that they provide their own instrument, pencil, notebook, 3-ring binder for sheet music, stereo/mp3 player, CD player, etc. I excel at popular music genres such as pop, blues, R&B, rock, and jazz. I am also trained classically and enjoy the challenges of standard repertoire from Bach to Chopin. I began studying music as a student of the Suzuki method. However, today I find that my own practice resembles most closely, the KodÃ¡ly, Dalcroze, and Orff-Schulwerk methodologies in philosophy and application. Paul is very talented and, a very good and patient teacher. He is prepared for the class even before you arrive at his place, and communicates his thoughts very clearly. He is ready for a challenge if you give him a random song which you wanted to practice, and he begins to play the song on the guitar without any tabs or notes, instead just by listening to it a couple of times. He's great to work with, and I'd choose him as my guitar teacher again if I ever live in the surrounding area. Paul is very passionate about music and teaching in general. He does a fantastic job when it comes to instructing and I'm excited to see future progress within my skills. I Definitely recommend him for great music taste and for creating a good atmosphere with his students. Paul is an attentive, intelligent and multi talented instructor - highly recommended. Focus is on writing thoughtful, concise lyrics, catchy hooks, strong melodies, exploring song structure(s), chords and rhythmic grooves, emotional connection, and unleashing creativity. icks that allowed me to impress the Hollywood composer that first invited me to Los Angeles to work on my first blockbuster. That opportunity led to many years of success in the industry and some notoriety. Having a catalog of original songs, many published on recordings around the world, I will guide all students in techniques for capturing your creative ideas for original works, as well as specific projects. We will study the characteristics that make each musical genre unique, and create beautiful original songs. I will provide all the knowledge and education to copy-right, publish, and sell your songs, and learn how to build a successful career in the music industry. With my music lessons you can expect a full education and fun time learning a variety of: songs, genres, techniques, improvising, harmony, music theory and how to craft your very own songs! Wether just a beginner, or been around song writing awhile, I will teach you a few tips and tricks, Theory’s and My own Experience to help spice up you’re Songwriting! I have been writing songs for 14 years and have studied with influential songwriters in the LA music business for the past 4 years, as well as with Philly writers for many years before that. I believe that writing is all about honesty and finding your own voice. Through these lessons I will help you to do both of these things along with building your knowledge of music theory and what makes a song click. If you're interested in learning about songwriting and producing your own recordings, I would be happy to show you how to make your ideas come to life! Can't find a teacher in La Crescenta, CA? "Fantastic lessons! I learned a lot about songwriting and even made a portfolio of songs I've written!" Los Angeles, CA teacher: Alec W.
courageous. It was a process. And I am forever grateful to Jan for helping me uncover more of my soul's voice." ead the notes? No problem, sheâs got you. Vocal problems? Oh yeah, she fixes that too. Trouble in the studio? Voice off pitch? Need mic technique? Weak on piano? Sight singing? Canât play the blues? Canât play classical? Need to learn how to write a song? Canât find a hook for your song? Donât worry, Fawn to the rescue! Seriously, is there nothing this woman canât do? I soak up her wisdom like a sponge. Iâm currently working in the studio with her on my debut album and we are half-way finished. It is sounding ah-may-zing! I am learning so much from this studio wiz. Having her in my life the past 3 years has been the right choice and an investment in my future. Hereâs to another successful year with Fawn on my team." that she is experienced in every genre of acting, songwriting, music production, and singing, makes her the best possible teacher to receive lessons from. She is the type of teacher that doesn't care about going over the time limit just to further explain something, listen to what you have to say or to give more direction. She has written her own book on songwriting called, "Once More With Feeling" where she explains everything in great detail, step by step. Anything you want to work on, she will be right behind you all the way. I had so many doubts about taking an online course in singing for many reasons, but I was SO WRONG. Instead of getting a decent teacher that you can work with face to face in your area, get the BEST teacher and work with her in the convenience of your own home. It's worth it, plus cheaper! She is to say the least, phenomenal, I am already seeing results and I only just had my fourth lesson. She has a reputation for making artists' celebrity status, with just a little drive and persistence you could have a worthwhile time learning with Jan."
"Working with Fawn on my songs the past 3 years has been a complete blessing. What used to be disorganized thoughts have been turned into lyrics and songs. I never thought I'd see the day when my songs would be ready to be recorded in a studio. Also, it's cool to be working with a coach who is current. (She just won for the Great America Song Contest last month). With all the awards she has won and career success she's had, she is still humble and really cares about her students progress and own careers. I love working with her and look forward to continuing." and understanding. I was nervous to take lessons online at first, as I've never done it before, then was unsure who I should take from because I didn't want to get someone who was terrible. I got really lucky though, I highly recommend her. She's absolutely fantastic." and makes you feel so comfortable, so opening up to her when it came to writing songs was incredibly easy and natural. Very giving with her time and she will help you tackle any problems you're having in order to achieve your goals." her in this household! Can't praise her teaching enough! If you get to train with Fawn, count yourself one of the lucky people!" "Keira made songwriting so fun, my boys didn't even know that they were learning! I would highly recommend Keira Moran."